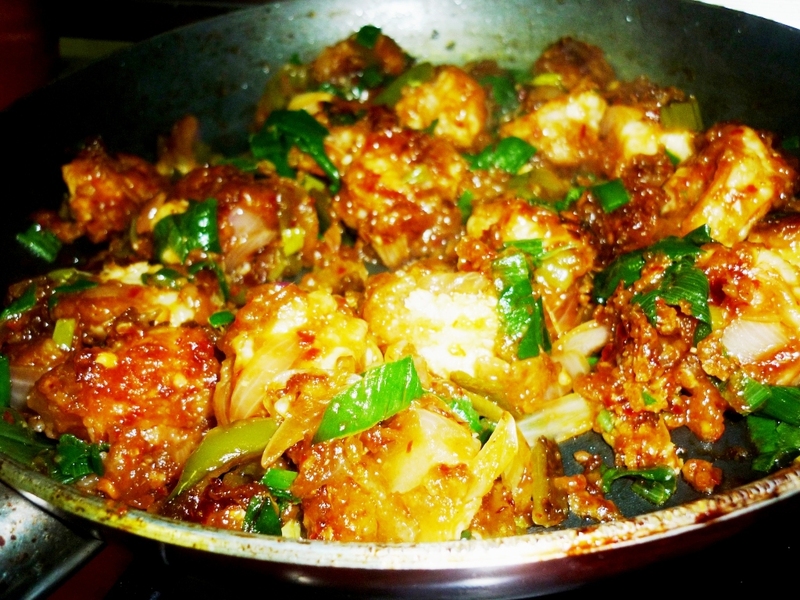 This colorful,lip smacking Prawns Manchurian is one of the special deepsrecipes own creations. It was a trial and the dish came out great.Sea food is a favorite delicacy around the world. Try this 'deepsrecipes' special recipe today and tell me how it is. Big Prawns-500g Cleaned and de-veined. 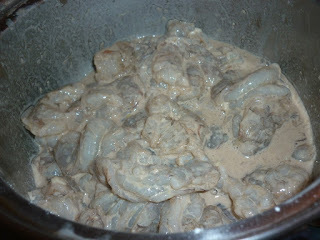 Marinate prawns with salt,ginger garlic paste and all purpose flour(2tsp) . 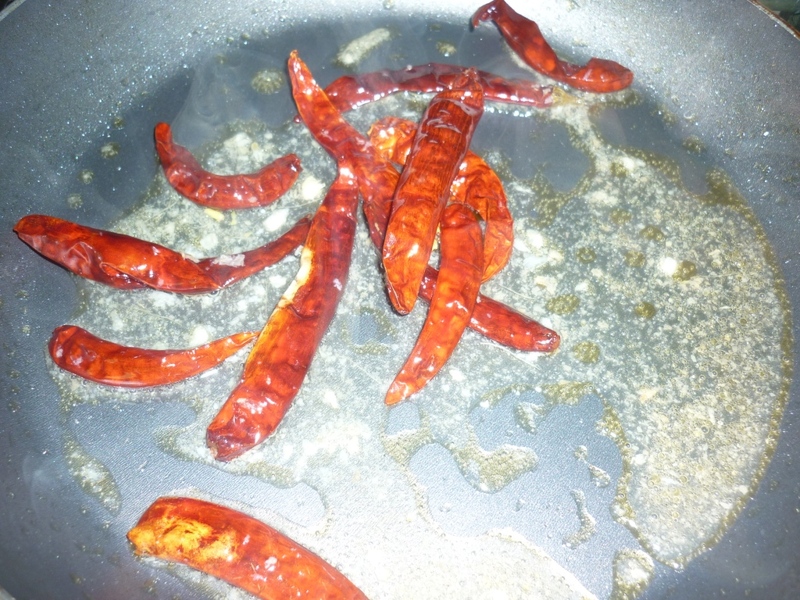 Preparation of a special chili sauce. Heat 1 tbsp oil in a pan,fry dry red chilies and garlic chopped.Add 1 tbsp vinegar to this.Cool this mix and grind to a fine paste. This is better than any canned chili sauce for this particular recipe. 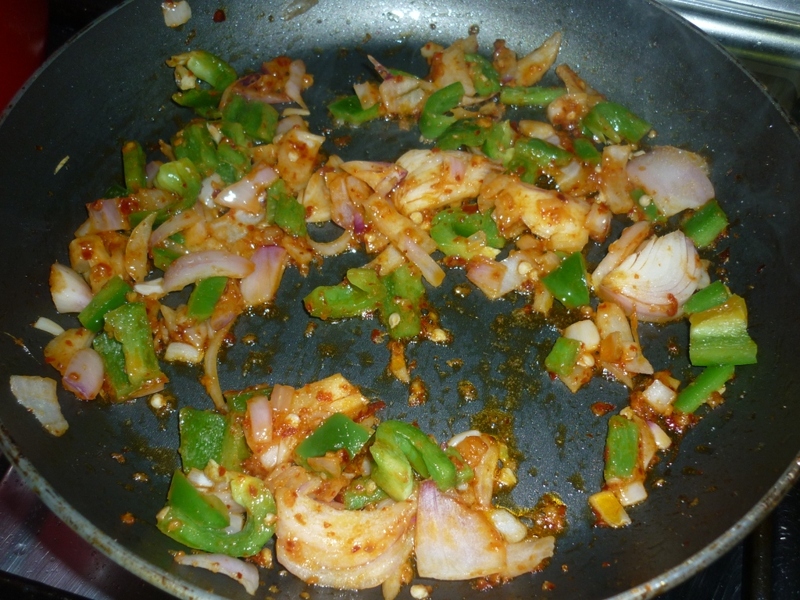 So here in this recipe we are using this chili sauce to give the special flavor and taste. Deep fry the marinated prawns .Take out from oil after 3-5 minutes.Don't over cook.Prawns have a very less cooking time and they get rubbery if we over cook. Now in a non stick pan,heat 1 tbsp oil.Add in our special chili sauce .Add ginger garlic paste,onions and bell peppers. Add spring onions.Saute well.Now mix deep fried prawns .Mix well with Worcestershire sauce and more chili sauce if needed.Close with a lid and cook it for a while.Now add in 2tsp corn flour dissolved in 1/4 cup water and cook well . 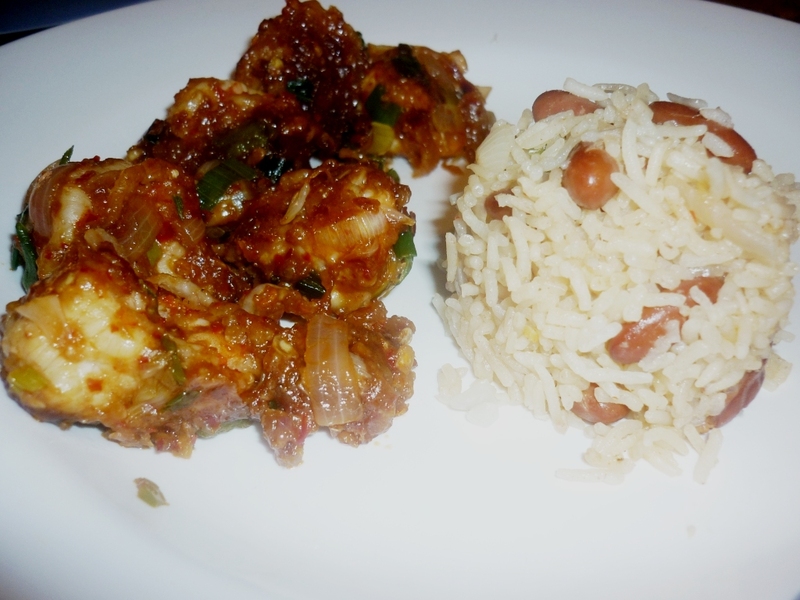 Serve hot with any rice.I served it with Kidney bean fried rice,another deepsrecipes special! Will post the recipe soon here. Yummy prawns manchurian,looks so tempting. good recp dear,,\i will try..sure.